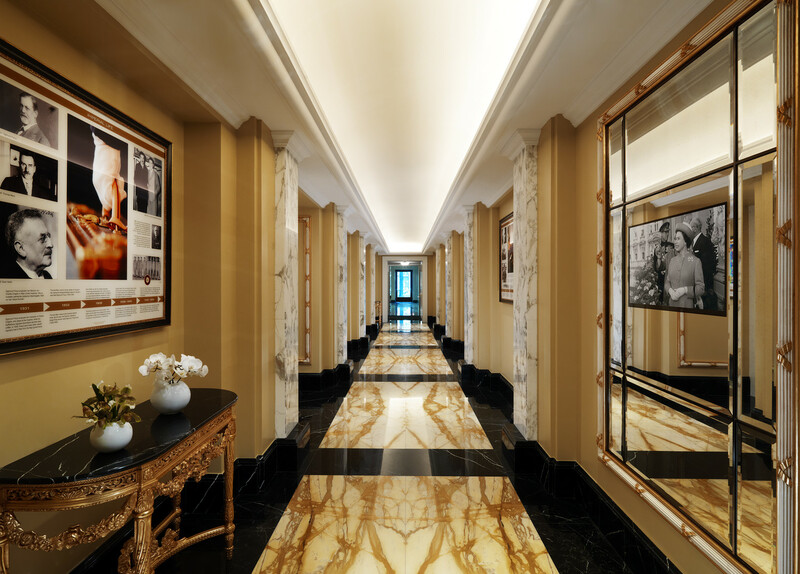 THE PATH OF HISTORY at the Imperial Hotel in Vienna, re-created and updated in 2014 by Andreas and Carola Augustin, Interior design Alexander Kravetz, produced by Bildwerkstatt Leutner, Vienna. The Path of History at the Hotel Imperial Vienna was installed in 2011. 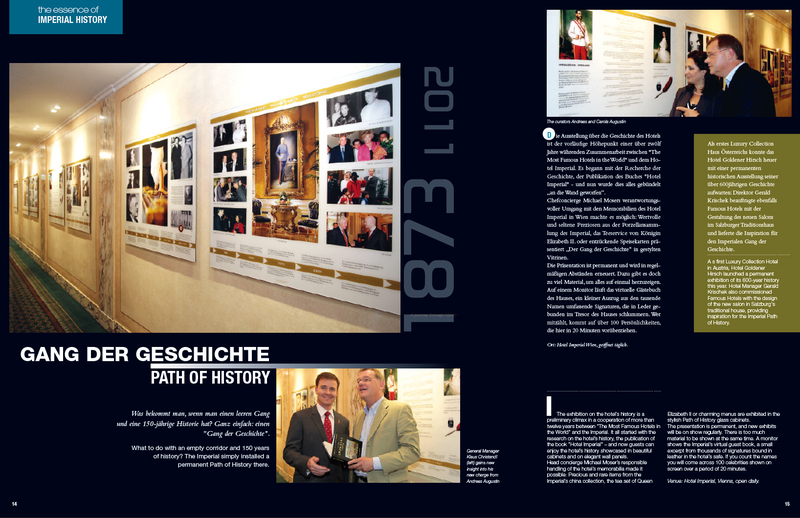 THE PATH OF HISTORY at the Imperial Hotel in Vienna – 2014. To the left and in the distance the exhibition plates, to the right a TV screen displaying the Imperial Documentary “A Virtual Guestbook”.